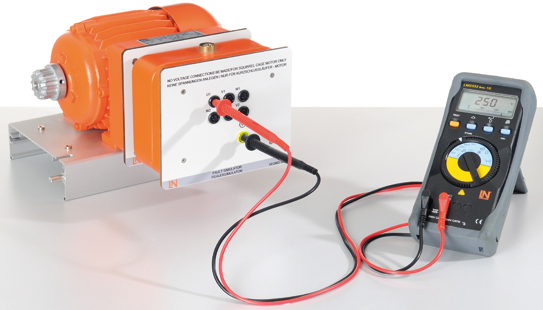 Simply plug the fault simulator into a three-phase asynchronous motor. The widest range of realistic faults can be activated using lockable fault switches. These faults can be detected and analysed using industrial-type measuring instruments. Repair measures can be worked out on the basis of the measuring results. All measurements are performed with the power switched off.